When compared to the X20, the new X30 makes perfect sense - it has the same great bright lens, now with a control ring around it, a slightly larger (and significantly heavier) body that incorporates an articulating LCD, a much better battery with almost double the juice, built-in wi-fi and a brand new electronic viewfinder. However, the world had changed since the days of the X20 and now the X30 seems almost illogical - it's just slightly larger and a tad heavier than the new high bar of compacts - the Panasonic Lumix LX100 (compare them here). It has not an entirely dissimilar zoom (28-112mm vs. 24-75mm) and quite the same max apertures (f/2.0-2.8 vs. f/1.7-2.8). But that’s where the resemblance ends. 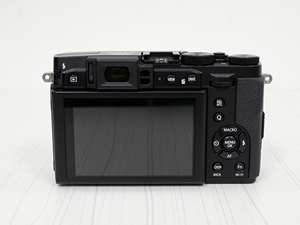 The core difference between the two cameras is the micro four thirds sensor under the hood of the LX100, 4-times-larger than the 2/3” sensor of the X30. So what does the X30 have to offer in light of this comparison? 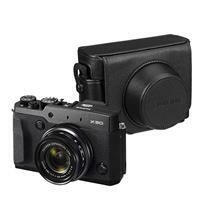 Have Fuji created the most mature and complete X-series compact camera, or are they too late in the game? I intend to find out. 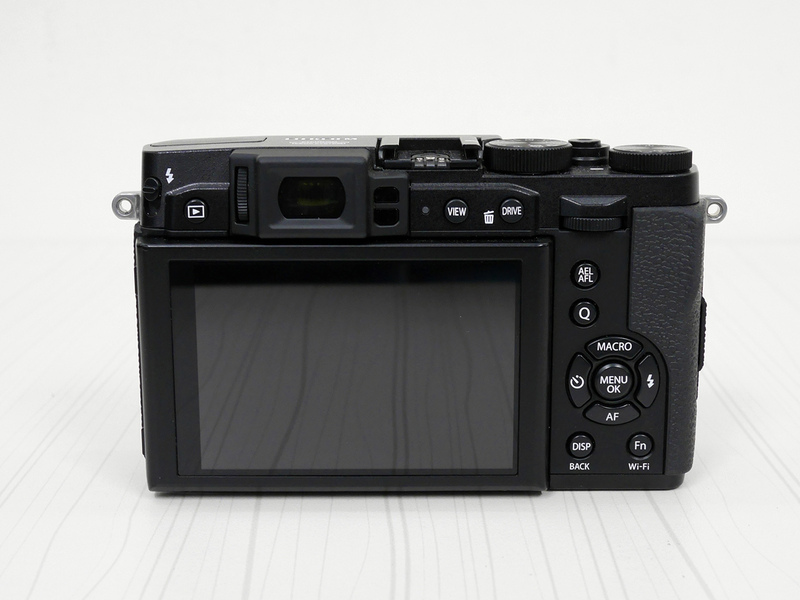 The Fuji X series has never been about compactness - but rather about intuitive controls. 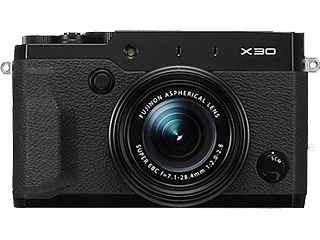 The X30 takes all the good stuff from the X20, adds the lens ring from the XQ1 and some viewfinder capabilities from the X-T1 and creates a truly efficient, not to mention enjoyable mixture of ergonomics. That’s what’s nice about Fuji - they know how to play their strong cards in every hand. 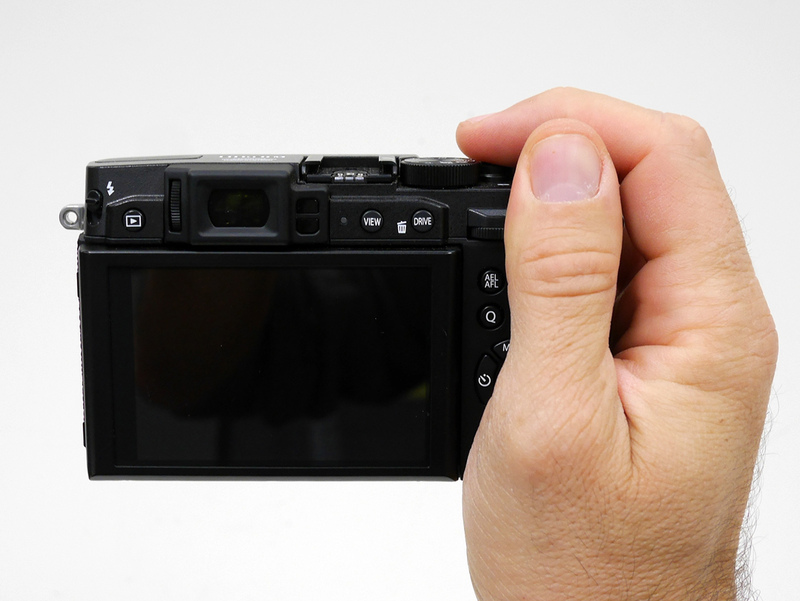 The buttons on the back feel better than on previous models and most other cameras. They're protrusive and sturdy, giving a robust feel under your finger tips. The Fn button, which controls the wi-fi, is shallower and harder to press, which is a good thing - since you don't want to invoke it inadvertently. The dial on the back is the only one that is too loose - it moved here and there not only when I wanted it to. The shutter button is wonderfully crafted - in usual Fuji style - with a long stretched press which delivers highly accurate feedback both in half- and full presses. The play button is on the left - which emphasizes the fact that all buttons are concentrated on the right side - for one handed shooting. On top of that, all buttons are all fully and easily customizable - with a long press on the specific button springing up the relevant menu for changing its role. The quick menu can also be changed to contain whatever parameters you want. 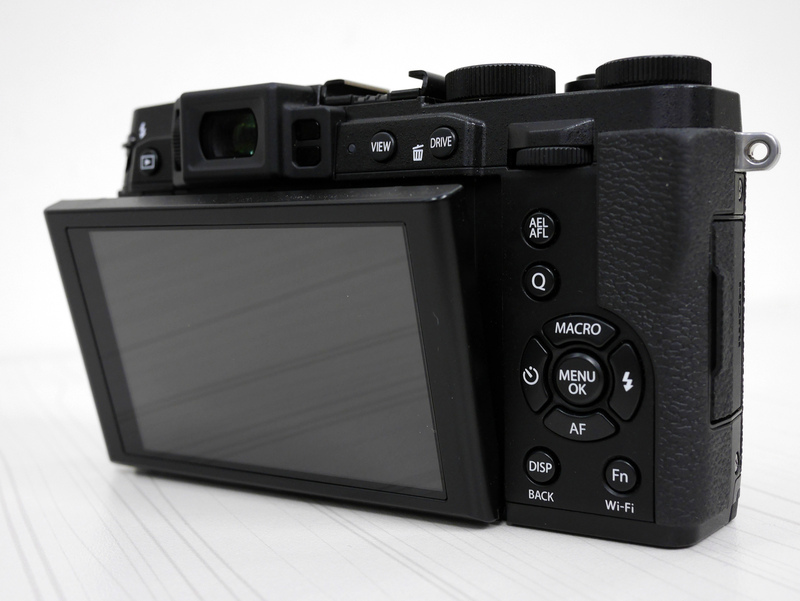 These customizations are just like on the X100T, so you can feel you're playing with the big fella's here. 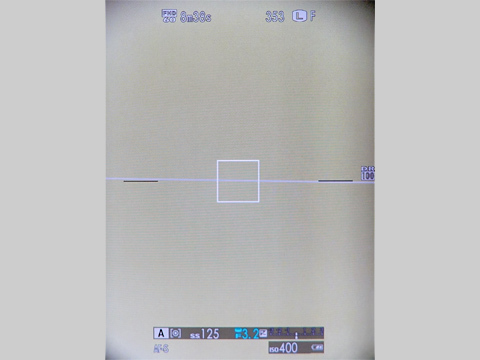 The optical viewfinder of the X10 was a pain – it showed no shooting information and instead, showed part of the lens itself at wide angles. The X20 added some overlaying digital shooting info on top of the optical viewfinder, which made it an acceptable tool to work with, but it still had the same structure of its predecessor. 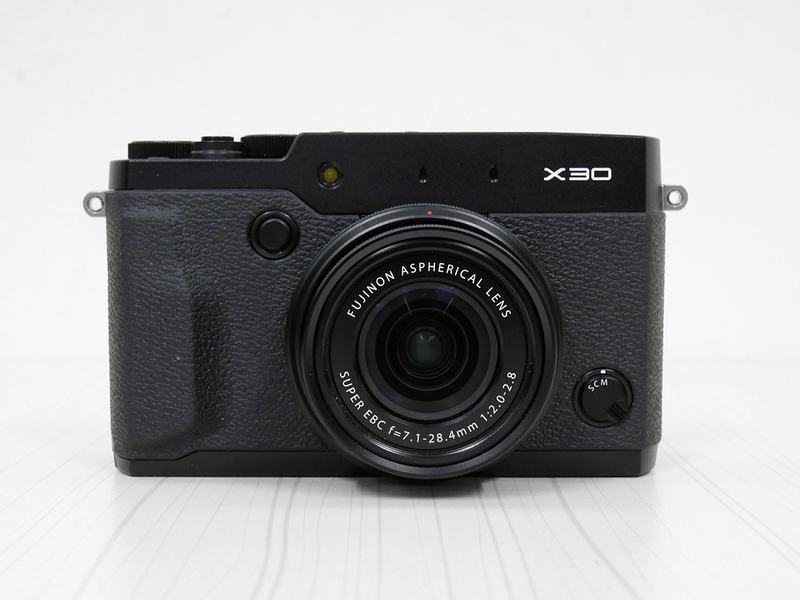 The X30 replaces the optical viewfinder with an electronic one, which is wonderfully sharp and bright. It's located close enough to the left side so that your nose is not smashed against the back LCD. Its refresh rate is good enough to be unnoticed in all but a few circumstances - only when moving the camera quickly in low light conditions, you'll notice a slight delay. Its auto-rotating feature, adhering to the now famous adjective 'a-la X-T1', makes the viewfinder an even more useful tool. Scroll your mouse over the thumbnails to view the images, then click on the images for full size versions. It's quiet and quick enough for street photography, though at times you'd turn the lens and the camera won't come to life. It's rare enough not to be a constant nuisance, but too frequent to be disregarded entirely. Working with it day in, day out, the X30 functioned wonderfully. It's fast to respond, to shoot, to play. Even when processing images, it allows you to keep shooting immediately. It's only when you take long exposures, that it takes time before you can shoot again. Its 'best frame capture' is a nice feature in theory, but it pales in comparison to implementation in other cameras, such as in the Nikon 1 series. For this mode to be active and record images before you click, you need to hold the shutter button half pressed, during which the camera pauses and clicks continuously in order to take the shots - and actually writes them to the card only when you fully press the shutter. It’s better to use the high speed burst mode instead (both modes support up to 12 frames per second with locked focus). 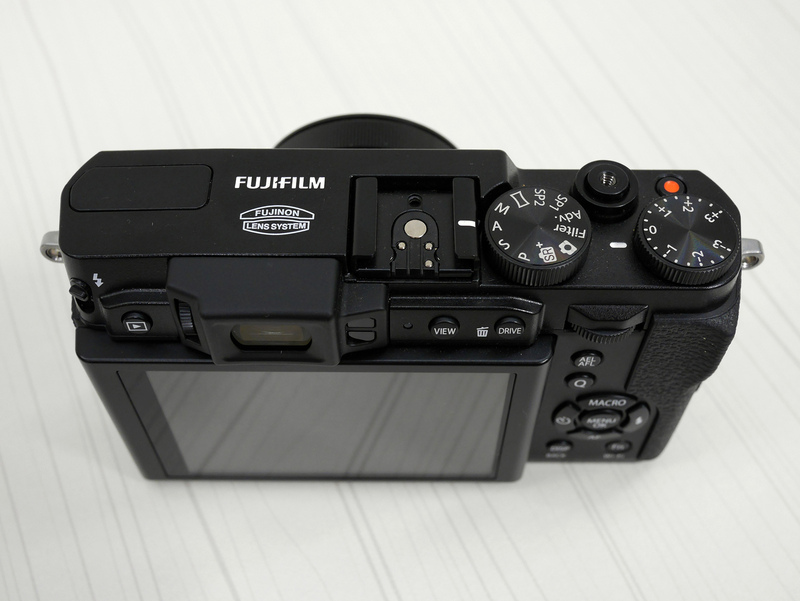 The Fuji X compact camera family has an inherent limitation with its shutter mechanism - it allows very low maximum speeds at various conditions. 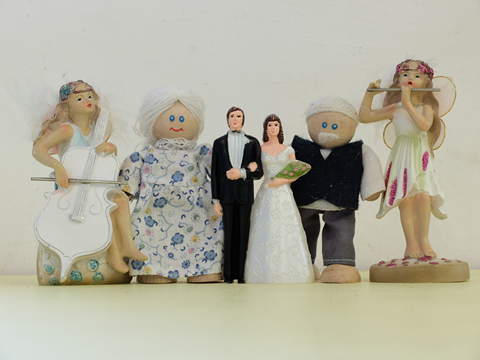 For example at 28mm it max'es out at 1/1000 at f/2, 1/2000 at f/4, 1/3000 at f/8 and 1/4000 at f/9. At 112mm, all these speeds are one stop down. With such low max shutter speeds, it really should have had a built in ND filter, but since it doesn't, you might find yourself unable to expose correctly when there's just too much light. The Focusing speed of the X30 in all lighting conditions is no less than impressive. I mostly used the center focusing point, like I always do, and it locked quickly with no hesitations. High-speed burst shooting allows up to about 4 frames per second in average with continuous AF, depending on the circumstances - if you have fast moving subjects, or small objects to follow, it will be slower than that. 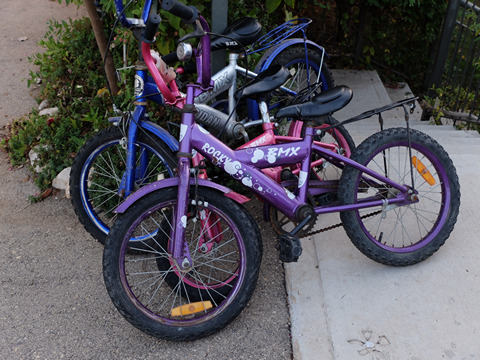 It's not a sports shooter, but is most definitely adequate for kids running around. Spot metering can be locked to the focus point and there's focus peaking with customizable levels and colors, which works great with the manual focus. Having said that, when controlling the manual focus, the lens ring is way too sensitive, it jumps from one end of the focus scale to the other with just a small turn. Jumping from 270 to 470 shots per charge is nothing to ignore in the X30’s battery life compared to that of the X20. The new battery, similar to that of some larger Fuji cameras is able to fit in thanks to the increase in body size (and weight). The battery is charged inside the camera, so a charged spare is harder to maintain. On the other hand, a micro USB cable is used for charging, which means you can charge the camera using your computer, in your car, or that portable emergency phone charger you probably already have. This one's going to be short - I love Fuji's X-Trans sensors. 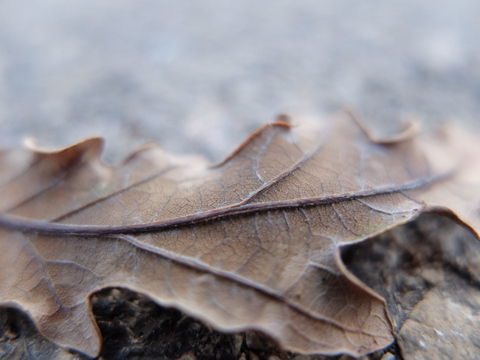 Although the X30's sensor is the smallest among the X family, it's capable of delivering beautiful colors and detail. The Film simulations help tweak the level of saturation and color characteristic that suits you best, not mention other color, contrast configuration options - letting you get exactly what you like with little effort. Check out my X30 image gallery for some hand-held, straight-out-of-camera examples. Not many compact cameras are able to deliver images rich with color and detail up to ISO 1600, the X30 is one of a few that can, slightly better than the X20, at about half a stop's worth. Examining (peeping, if you will) 100% crops show the serious decline starting at ISO 3200. For day-to-day on-screen viewing, even 3200 and 6400 are ok, with just 12800 being totally unbearable to watch. The f/2.8 at 112mm is wide enough to create some subject separation for portrait shots, but the real kicker is the f/2.0 at 28mm when doing macro work - up close it puts on a nice creamy bokeh in the background. As always with Fuji panoramas worked fine, in the sense that there were only a handful of cases in which the camera wasn't able to create a panorama. There are always some visible seams, especially in straight lines in the frame. However, the camera overcomes differences in exposure in the frame beautifully, as long as the lighting doesn’t exceed the camera’s lowest possible exposure - which is quite limited by its rather low max shutter speeds, so half press against the most bright area of your panorama first in order to avoid exposure variations. The remote control App works amazingly well. 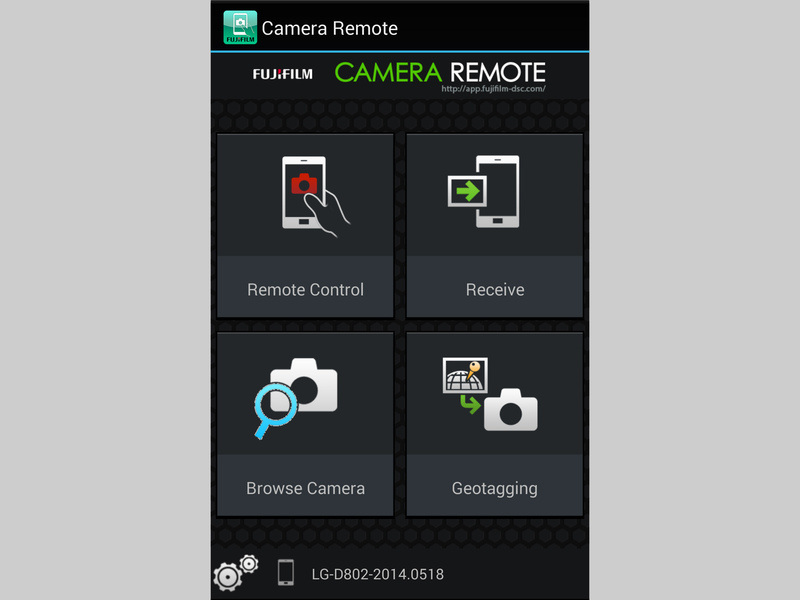 It connects immediately after a short and easy setup and allows control over most parameters, and even ISO and film simulations, so there's little you need to touch the camera while shooting via wi-fi. The refresh rate of the image on the phone isn't fast enough for critical work, but sufficient general use. 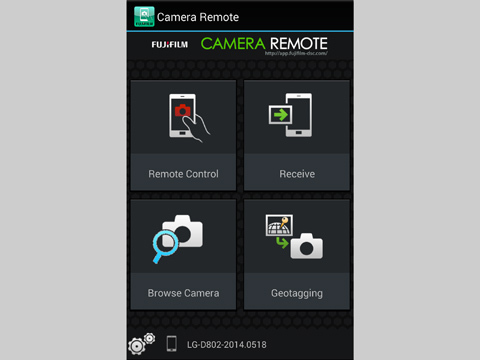 Unfortunately, the remote control App can't change the mode, exposure compensation or the zoom. 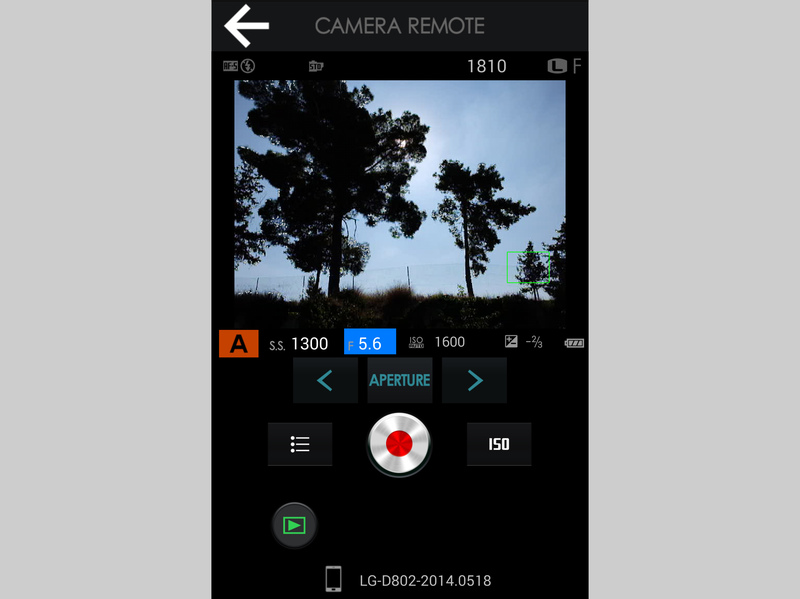 The limitation of not being to control the zoom is expected since it's manually operated, but what's surprising is that changing the mode or the exposure compensation on the camera doesn't have any effect while under remote control, so you must choose the mode and compensation before you connect with the App. You should know that the App sometimes has trouble reconnecting after a previous connection. In these cases, restarting it solves the issue (as always in such cases...). Transferring images over wi-fi is kind of slow, but it works flawlessly every single time, so you can definitely depend on it for backing up your photos or transferring them for uploading later. 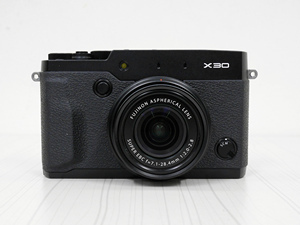 Video features on the X30 include a variety of frame rates (24p, 25p, 30p, 50p and 60p), all with Full HD resolution of course, so it significantly improves its capabilities from the X20 - there's also an external microphone port and full manual controls. The output is very pleasing, rich with color and detail. One small gripe here - movies have a separate ISO settings stashed deep in the menus? There should be a dedicated movie mode on the mode dial that enables configuring how videos are shot, while using the advantages of the designated buttons and the quick menu, instead of having to dwell in the full menu. Fuji's new 'Classic Chrome' is a very nice addition to the already likeable film simulations. This new one is like a rustic duotone cast. Subtle, but visibly lessens saturation for a calmer, film like look. The 'Vivid' film simulation could be a bit too much for weary eyes, but when used cleverly at high ISO, it brings back some of the faded colors and creates a nice outcome. Its pro portrait mode takes two shots and combines them to one. 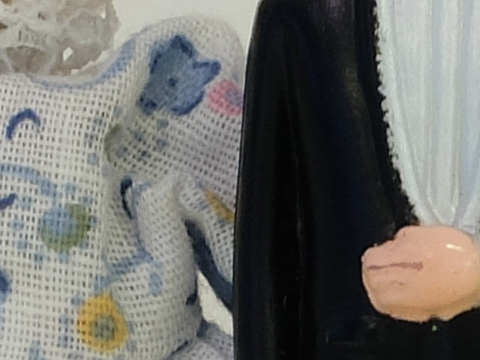 It enhances the image by blurring the background in what seems to be equivalent to about an extra stop. 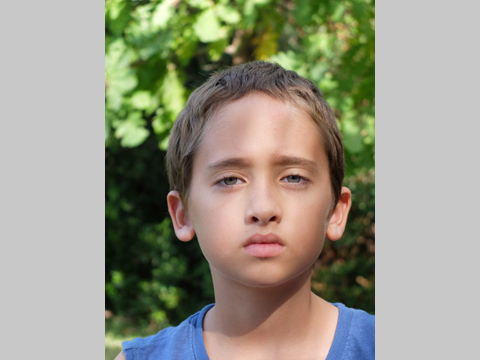 What appears to be a difference in the distance from the subject is actually a crop done by the camera in this mode. 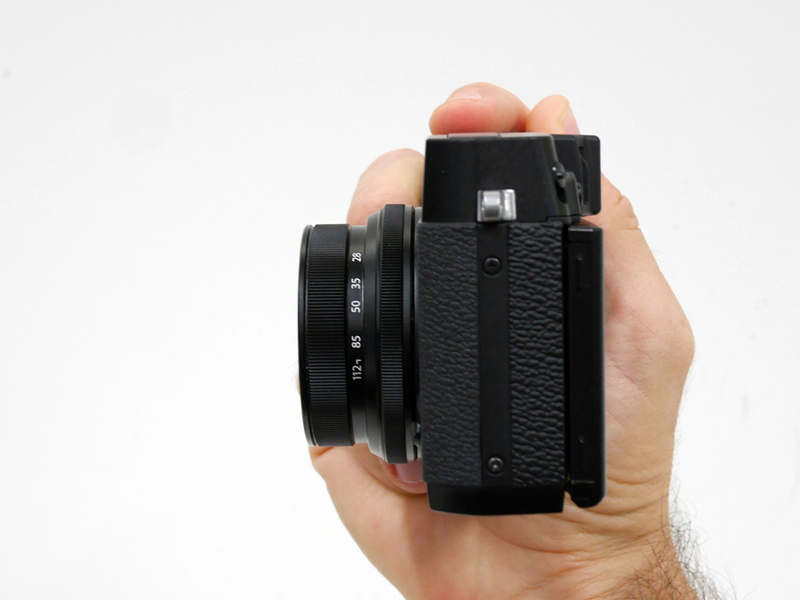 The Fuji X30 has proved to be Fuji's finest compact to date. It produces beautiful images and is very (very!) nice to use as a camera. It's true that the competition is fierce and that the 1/1.7" sensor size is slowly being phasing out in high-end compact camera standards. 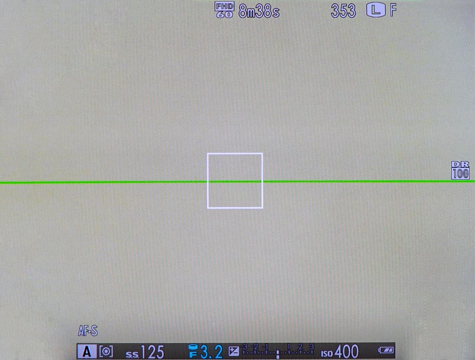 Still, the X30 was the camera I reached for, even when the new RX100 was on the table. It's just that I enjoyed shooting with it much more than with the RX100, and its image quality didn't vary enough from that of the 1" sensor at the heart of its petite rival. That being said, the X40 must improve something in the main photographic parameters. A lens starting at 24mm could be nice, a 1" or larger sensor would be welcome, and larger apertures would fill in the gap that the LX7 left when it was replaced with the much more expensive LX100. 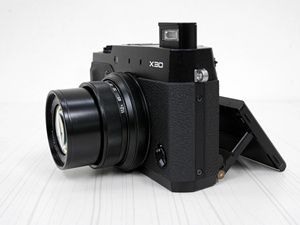 At least one of those enhancements is required in order for the X40 to be a viable compact camera in next year’s market. 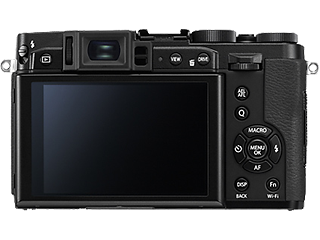 The X30 is still highly relevant, but 18 months from now (the average life expectancy of a Fuji X compact, before being replaced by a newer model), not so much. If you're thinking of buying it, I'd appreciate your using one of my affiliate links: B&H, Amazon, Adorama. You can follow the X30's price on the 'price watch' page, and register to receive price change updates directly to your email. Use the Compare Tool to compare the X30 to other cameras. 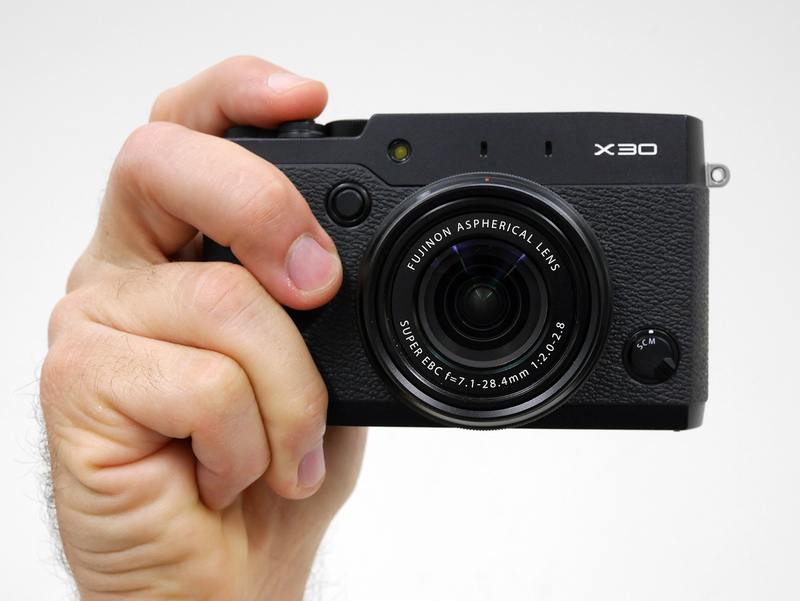 See where the X30 is placed on the Feature Graph.